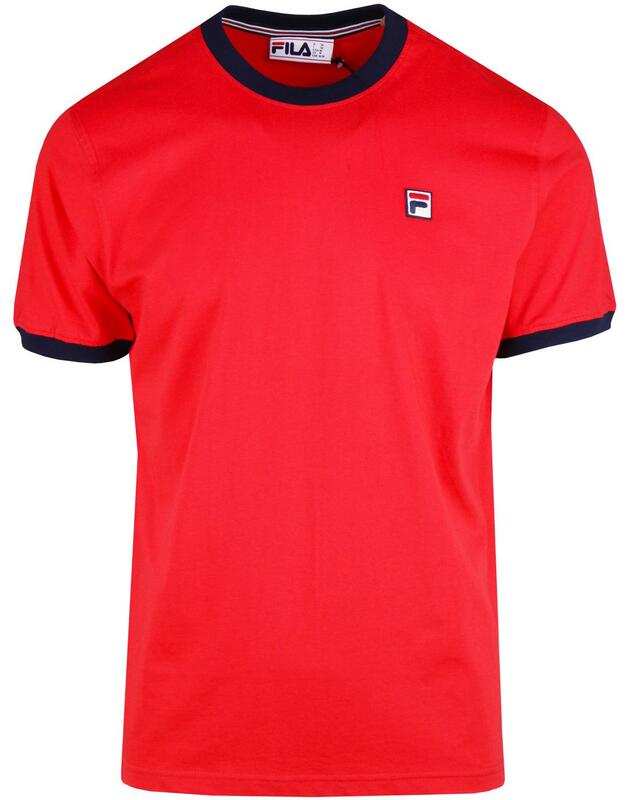 Fila Vintage 'Marconi' men's retro 1970s ringer t-shirt in Chinese red. This simple and timeless Fila Vintage 'Marconi' ringer t-shirt features the iconic corded F Box logo to the chest. 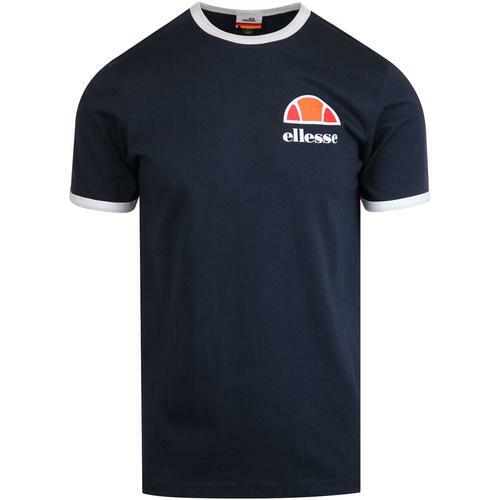 With as much retro appeal as a classic Marconi record player, this Fila Vintage T-shirt will team up great with denim jeans, track jackets and indie trainers. Soft jersey cotton construction and a striking red colour way. The Fila Vintage 'Marconi' ringer t-shirt is a true retro clothing classic. 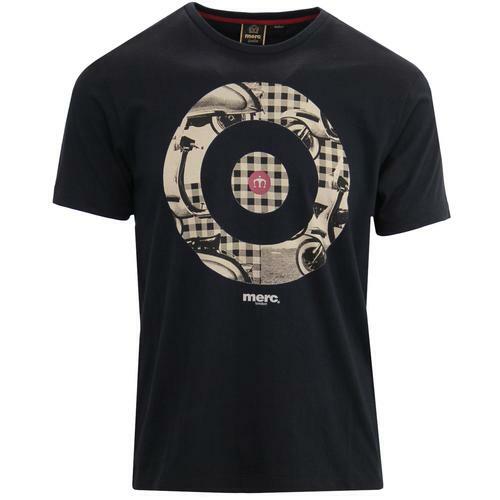 - Fila Vintage 'Marconi' men's retro ringer t-shirt in Chinese red. 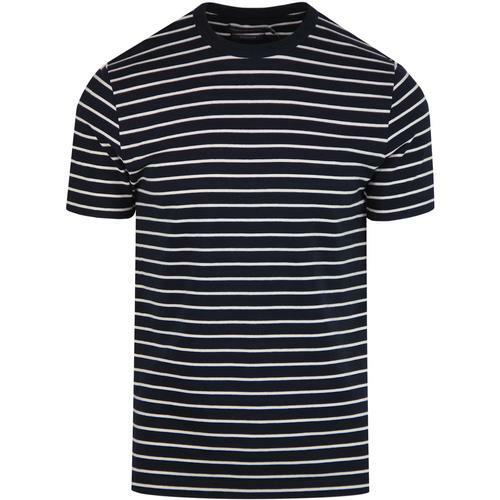 - Contrast navy ringer collar and cuffs.